Over the past 12 months, the electric-car maker has been burning money at a clip of about $8,000 a minute (or $480,000 an hour), Bloomberg data show. At this pace, the company is on track to exhaust its current cash pile on Monday, Aug. 6. To be fair, few Tesla watchers expect the cash burn to continue at quite such a breakneck pace, and the company itself says it’s ramping up output of its all-important Model 3, which will bring money in the door. Investors don’t seem concerned. Tesla shares rose almost 3 percent to $317.81 Tuesday, giving it a market capitalization of $53 billion. Ford Motor is worth $48 billion. But still, Tesla's need for fresh cash came into high relief last week when Musk unveiled his latest plan to raise funds. He’s asking customers to pay him upfront to order vehicles that may not be delivered for years. The Founders Series Roadster will cost buyers a $250,000 down payment even though it’s not coming for more than two years. Orders of those cars are capped at 1,000, meaning they alone could generate $250 million. Tesla is charging a total of $50,000 for reservations of the regular Roadster. Companies can also pre-order electric Semi trucks for $5,000, though they don’t go into production until 2019. But all this is a pittance compared with Tesla’s financial needs. It’s blowing through more than $1 billion a quarter thanks to massive investment in making the Model 3, a $35,000 car that’s looking less likely to generate a return anytime soon. Tesla has said it has ample money to meet its target of producing 5,000 Model 3 sedans by the end of March. After that date, the company expects to “generate significant cash flows from operating activities,” Tesla said in a Nov. 1 letter to shareholders. 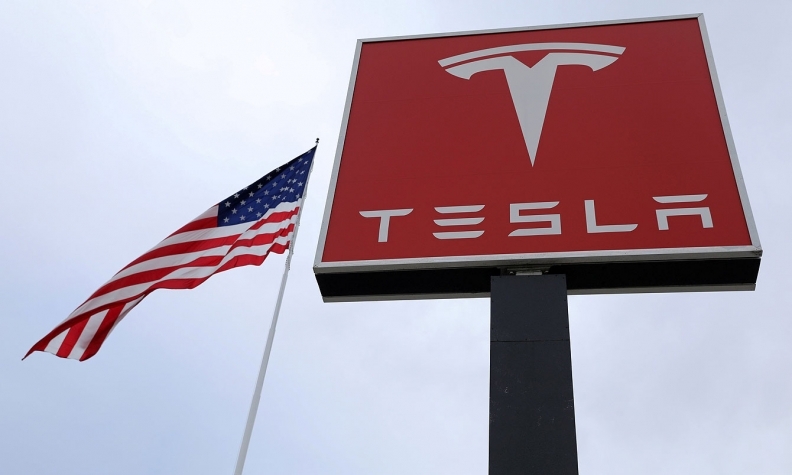 Tesla’s capital expenditures should also decline as the company pays off its expenses related to the Model 3, CFO Deepak Ahuja said on a conference call the same day. Dave Arnold, a spokesman for Tesla, declined to elaborate. It’s already drawing down on more of its revolving credit facilities than ever before. And while the bond market is a possible route, it may not be especially welcoming right now. Investors who bought $1.8 billion of debt three months ago remain under water even after the notes recovered a bit from a low of 93.88 cents on the dollar early this month. That may leave selling equity as the most viable option. But that, of course, would dilute existing shareholders, and Musk, at 20 percent, is the biggest.